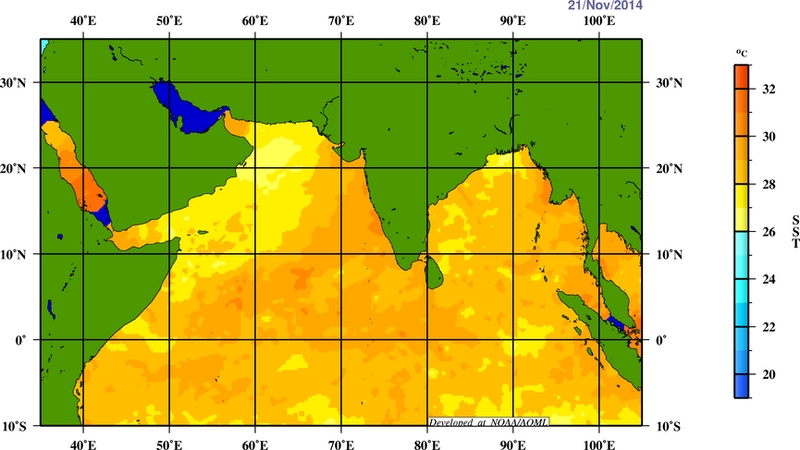 A probability first predicted by Chennayil Oru Mazhaikalam yesterday is evolving in the Bay of Bengal. 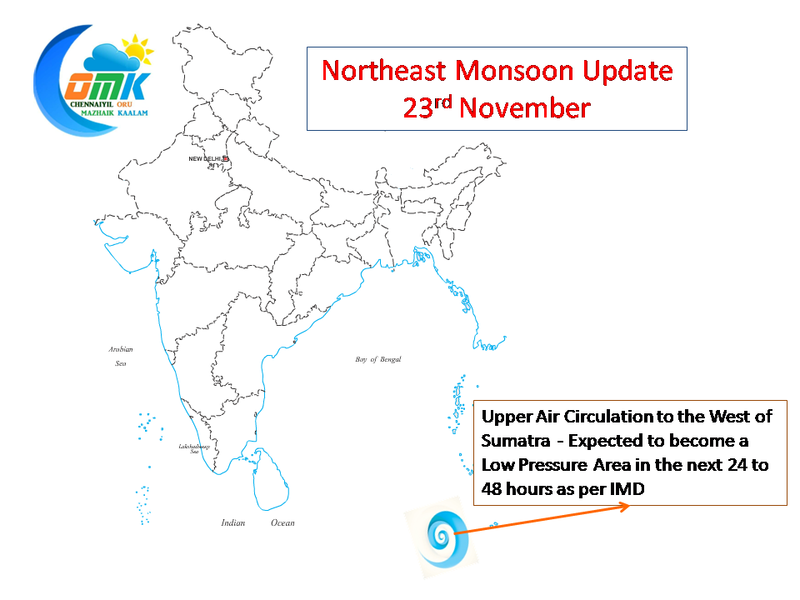 IMD has confirmed the Upper Air Circulation off the Sumatra coast is expected to become a Low Pressure Area around November 25th. 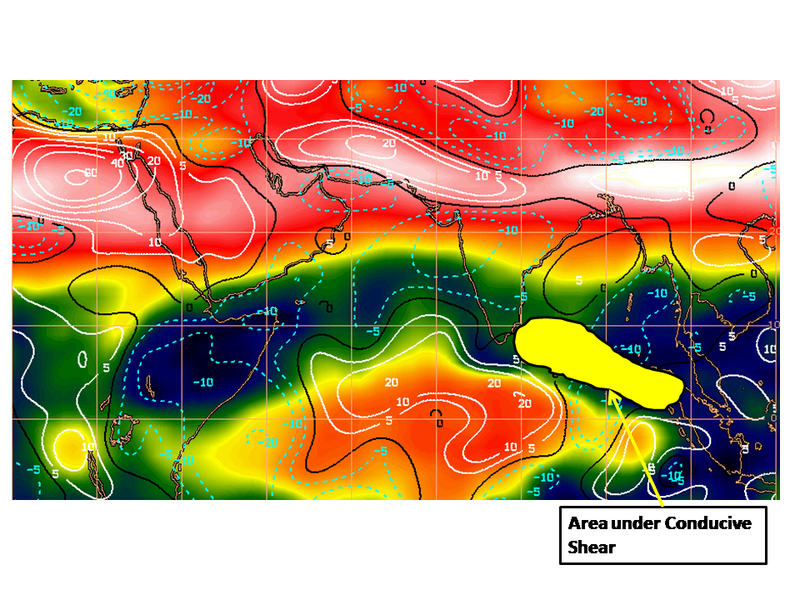 The disturbance is developing in an area which has very good support both from the surface and atmosphere. The potential to develop is certainly a given now, it would be a question of how intense and how further would it become in the next few days. 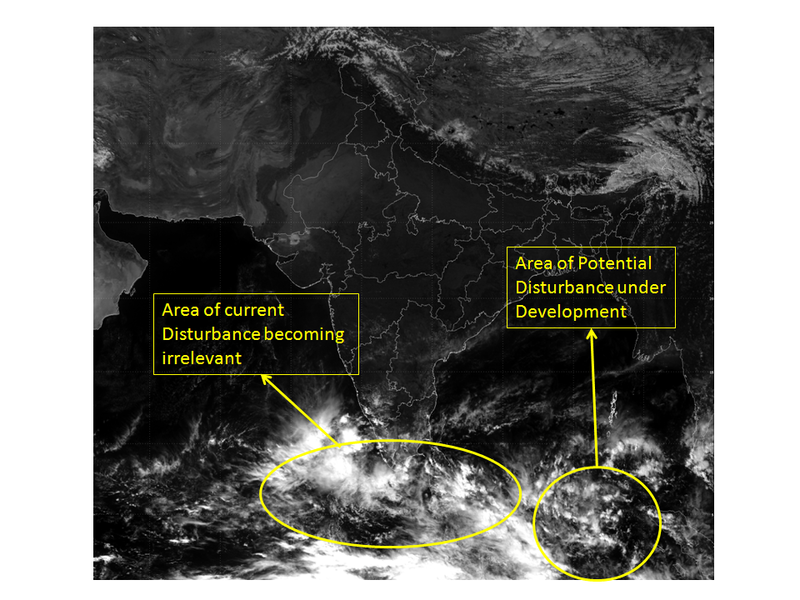 COMK would prefer to adopt wait and watch as a few models are expecting this disturbance to develop intensity as it moves in a WNW direction towards the Sri Lanka coast over the course of the coming week. 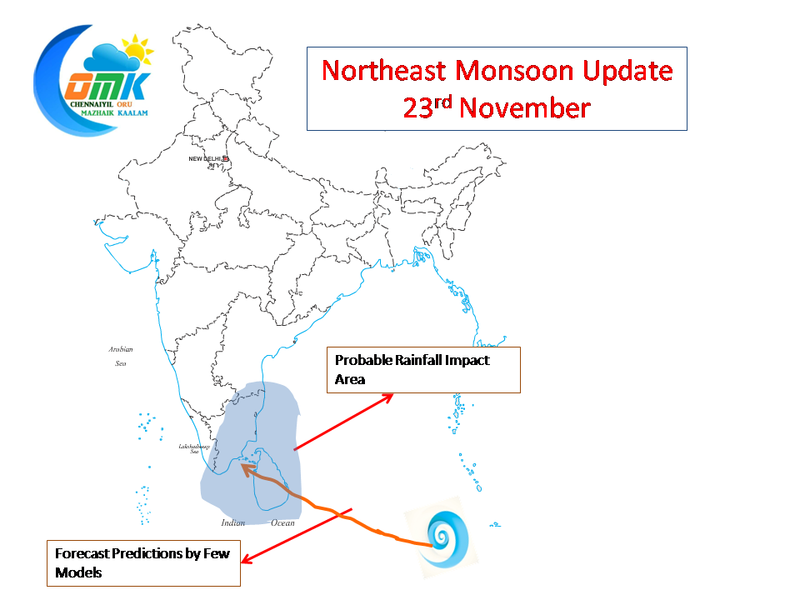 The expected forecast track provides extremely high possibility of some very heavy rainfall over Sri Lanka and South Tamil Nadu. 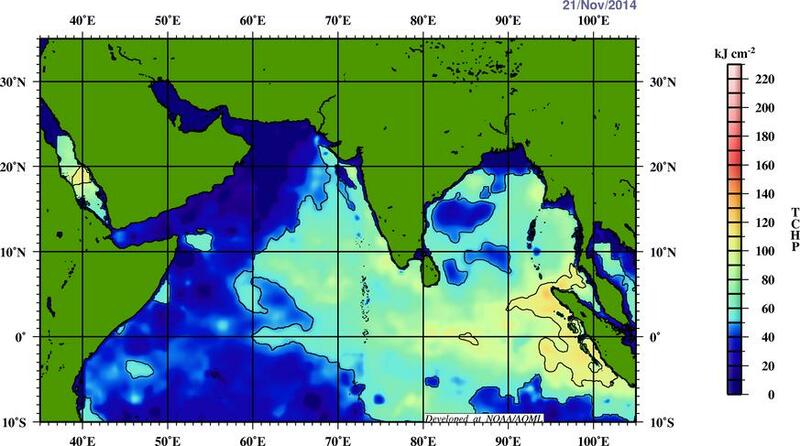 Additionally it also gives an opportunity for North Tamil Nadu also to get its share of rains as the disturbance starts to moving towards Peninsular coast. The overall positive turn of events will happen possibly after 26th November providing us an opportunity to end November on a rainy note.